Kataru's love and pursuit of Farming: Millions of miniature white roses.. Millions of miniature white roses..
Botanically, Almonds are a member of Rosaceae (rose) family. So, calling an almond bloom a rose is accurate technically. Just like tiny roses, the flowers are beautiful and delicate. Due to its early flowering the almond tree came to herald the arrival of spring. For this reason, the almond tree is considered auspicious in many cultures, symbolising hope and revival. According to a Roman tradition, newlyweds are showered with almonds as a fertility charm. Speaking of fertility, almond trees are self-infertile and require cross fertilisation. 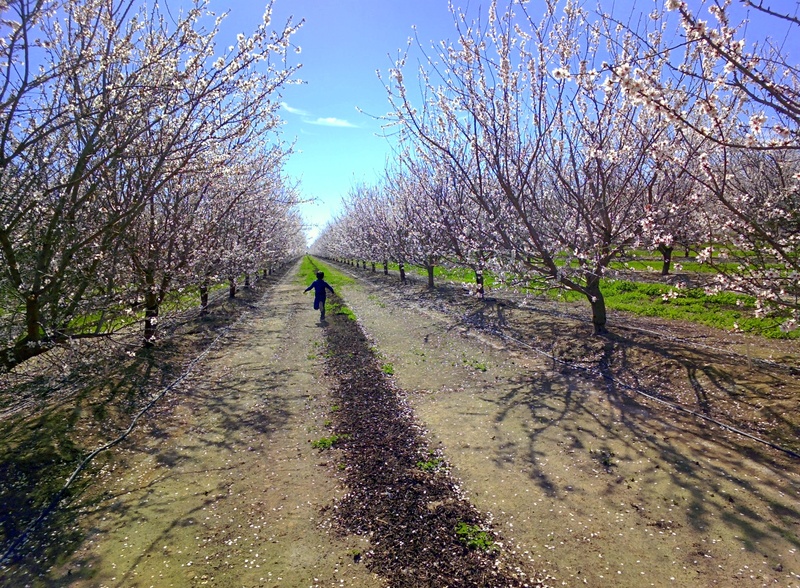 This is why colonies of honeybees are brought over to almond orchards in bloom time (like now) to help with pollination. Bloom is around the corner..